Pork Steak King’s Hawaiian Sliders blog post was sponsored by KING’S HAWAIIAN® but the opinions are all my own. Are you ready to wow your crowd for game day? 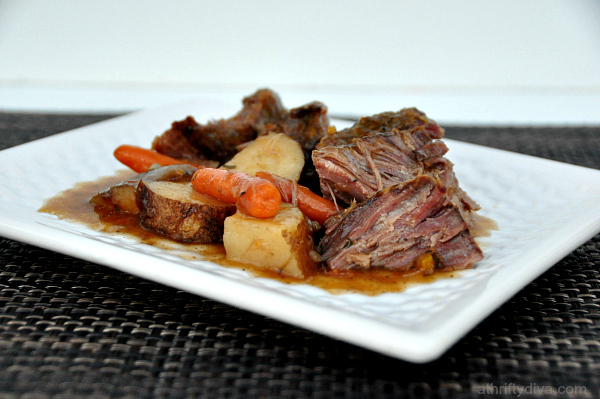 We grill multiple times a week and I’m always looking to add in some delicious recipes. With a house full of boys and football season in full force it’s important that I make meals that can easily be eaten in front of the TV. 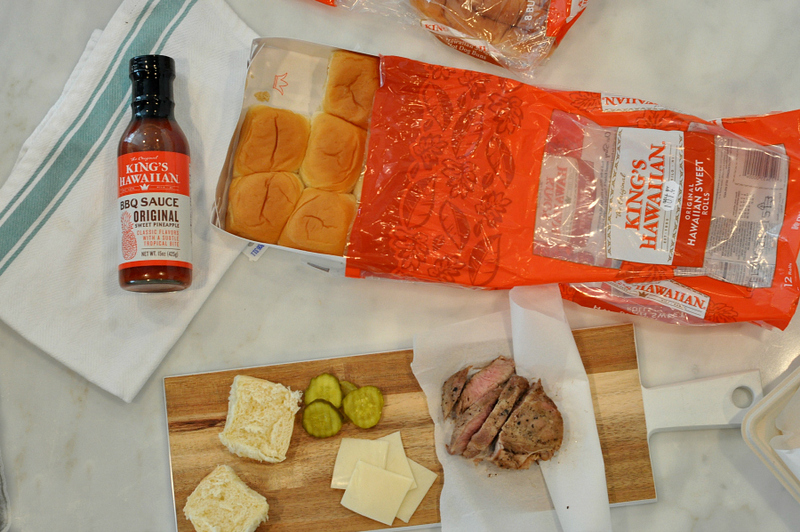 These delicious pork steak King’s Hawaiian sliders are packed with Hawaiian–style flavor and perfect for game time grilling. I made my weekly trip to KING’S HAWAIIAN® to pick up our game day necessities. You can’t go wrong with KING’S HAWAIIAN® Dinner Rolls, Hamburger buns and Hot Dog buns. The sweet and delicious KING’S HAWAIIAN® breads definitely kick up any ordinary burger and hot dog with Hawaiian sweet goodness. 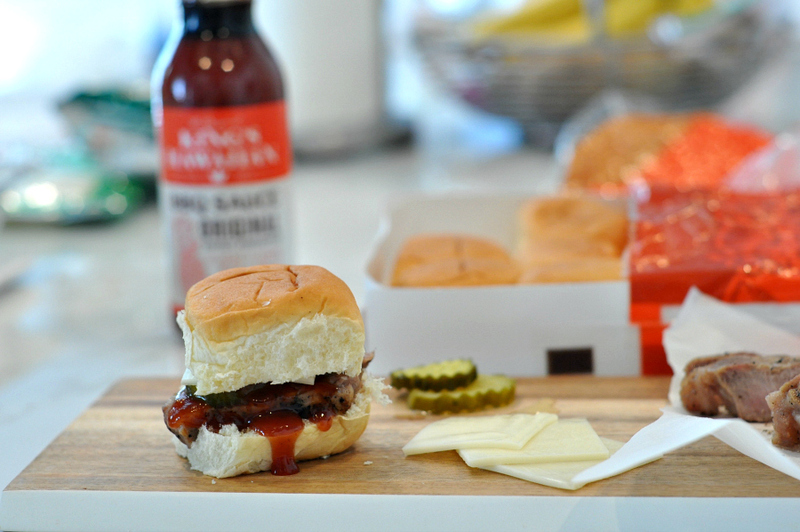 I also picked up KING’S HAWAIIAN® BBQ Sauces which are perfect for game day grilling. My family loves pork steaks, you can find them at H-E-B in nice thick cuts. They cook best with a salt and pepper seasoning on the grill to about medium-well done to keep them juicy. 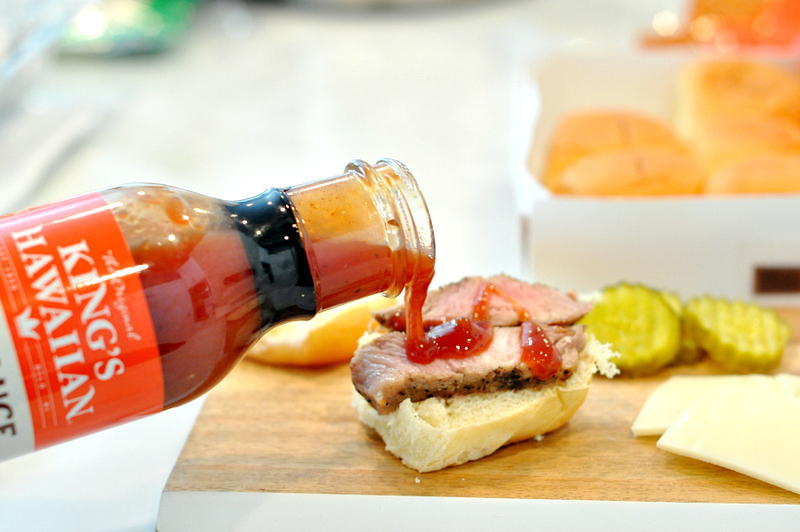 KING’S HAWAIIAN® BBQ Sauces come in a variety of delicious flavors. Original Sweet Pineapple: Hawaiian–style tangy BBQ zest and sweet Pineapple. Bold BBQ flavor with a sweet, pineapple bite. Smoked Bacon: Bacon lovers will love this rich, smoky bacon combined with a tangy sweet sauce. Kona Coffee: Hawaiian–grown Kona Coffee Beans with a tangy BBQ sauce. Big Island Lava: Turn up the heat with bold red jalapeños, spicy island flavor, and a hint of sweet. 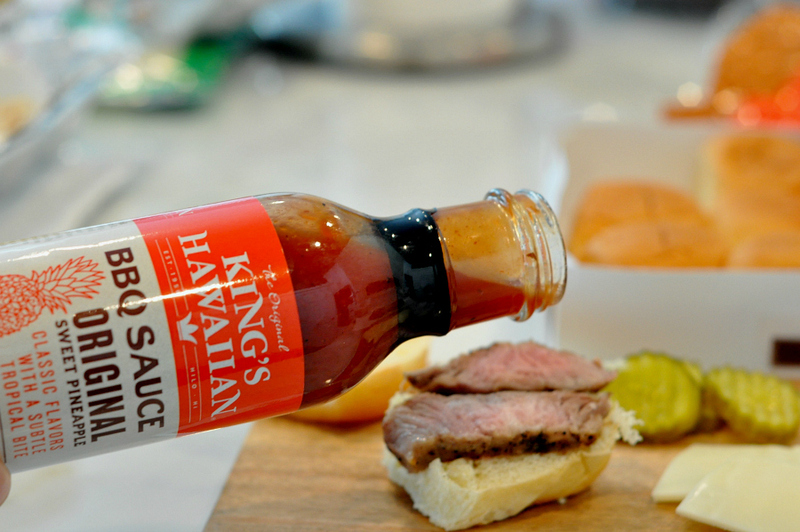 Drizzle KING’S HAWAIIAN BBQ Sauces over all of your favorite meats for extra flavor. 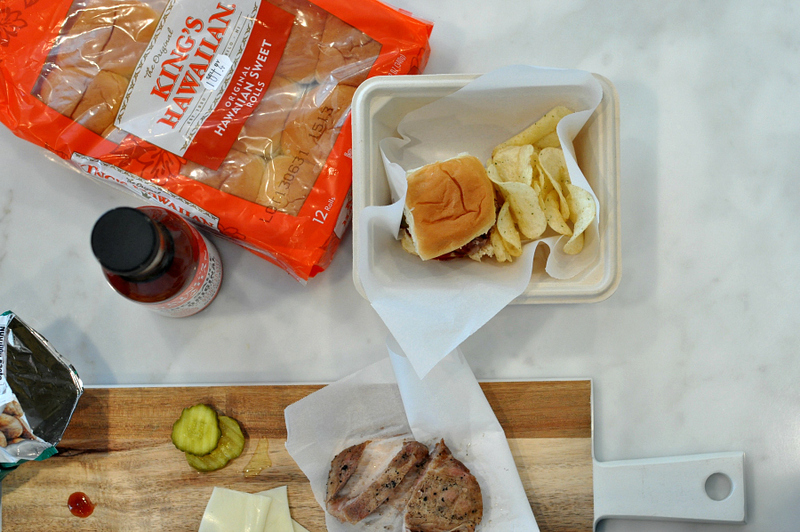 These pork steak King’s Hawaiian sliders are easy to put together and can be made in minutes. 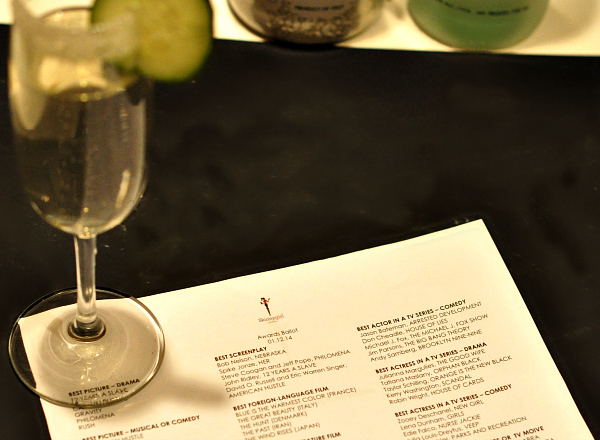 Serve to please with a side of your favorite chips. Add your favorite sliced cheese, I love how well sliced mozzarella pairs with the KING’S HAWAIIAN® Sweet Rolls. 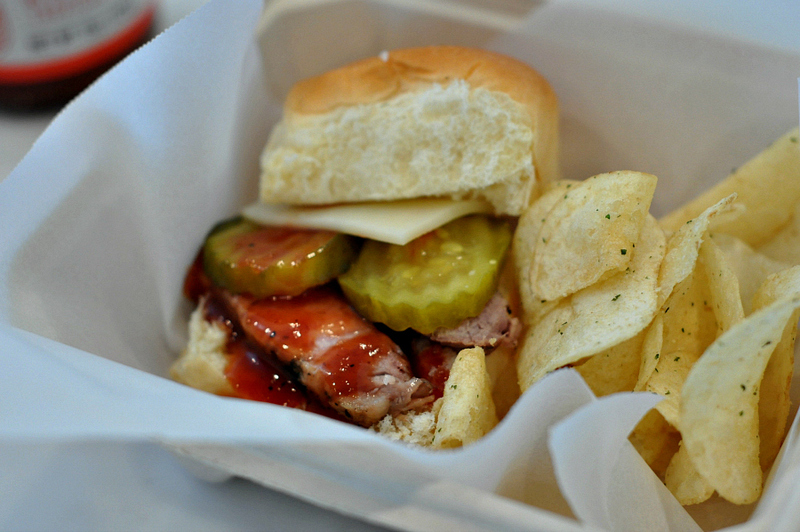 Crunchy sliced pickles are also a great addition to these sliders. 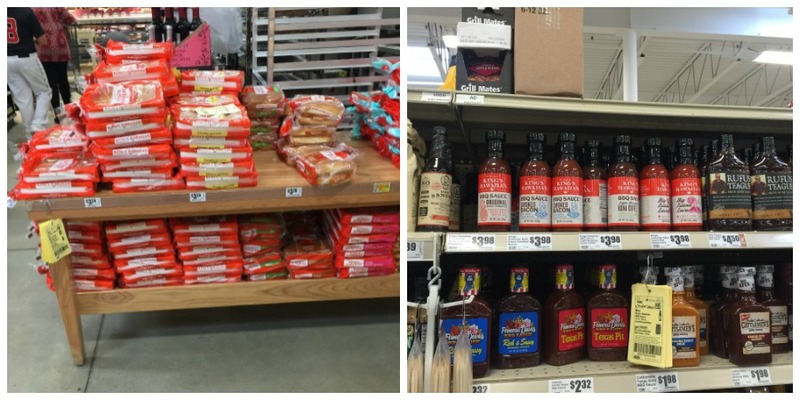 Pick up your Pork Steak King’s Hawaiian slider ingredients HEB.